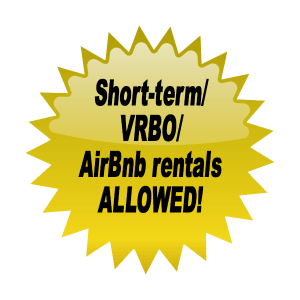 Do you allow short-term rentals at Beach Lake? Beach Lake is a 5-ACRE, private, sand bottom lake a couple blocks away from Castle Rock Lake. Beach Lake is a swimming, fishing, sailing, canoeing, kayaking, windsurfing, and numerous other water activities lake. Beach Lake has a maximum depth of 15’. Beach Lake is completed surrounded by sand beach. How much are Homeowner’s dues/assessments? Where Is Beach Lake Located? Beach Lake is located on the Gold Coast/southwest side of Castle Rock Lake. Is Beach Lake A Private Lake? Do Lots Beach Lake Have A Sandy Beach? What are the steps to purchasing a lot and building a home? 1) You can buy a lot and simply hold it. There is no must build clause or timeframe to build. 2) You can buy a lot and bring your own builder and plans or we can refer you to a local builder. Sewer, natural gas, electricity, telephone, Broadband internet and cable TV are at lot lines. Do Beach lots have municipal water? No. Each lot has its own individual well. Do I Have Access To Castle Rock Lake? Beach Lake is within walking distance of Castle Rock and a boat launch. Are fireplaces and outdoor firepits allowed? Are Lots Suitable For A Walkout/Exposed Basement? Yes. All lots are suitable for a perfect walkout/exposed basement. Can we put in a raft or other water activity equipment? Are there fish in Beach Lake? How Big Is Castle Rock Lake? Castle Rock Lake is the 4th biggest in Wisconsin. It is 17,000 acres. What Restaurants And Bars Are Near Beach Lake? Shipwreck, Portofino, Pine Cove, The Dirty Turtle, Cedar Springs, Buckhorn Grill, and Kozy’s Pizza are all minutes away. Yes. There are a number of courses nearby. In fact, there is a new replica golf course on the water. Imagine jumping in your boat and driving up the lake to play 18 holes…..